Get in touch with your American roots and celebrate Appalachia’s favorite genre at the Outer Banks Bluegrass Island Festival. Are you a big fan of artists like Earl Scruggs, Lester Flatt, and Doc Watson? Celebrate alongside talented musicians as they honor their heroes through song. Swing along to wailing banjos, walking bass lines, and an occasional harmonica solo. Experience everything from industry celebrities to local favorites. Partake in this new annual tradition that takes place in front of gorgeous sound waters. Spend an entire, extended weekend rocking out to all the phenomenal tunes at the Outer Banks Bluegrass Island Festival! For more ideas on where to go, what to see, and things to do, download our thoughtful Vacation Guide! With apparent inspirations drawn from Appalachian folk music, gospel, blues, and jazz, bluegrass paved the way for many mainstream country musicians. At the Bluegrass Festival, enjoy performances by highly-acclaimed musicians and talented artists as high-energy tunes carry across the stunning venue. Feel the music flow through you and appreciate a combination of sounds coming from the classic instrumentation of fiddles, banjos, mandolins, guitars, dobros, and standing basses. The country’s finest bluegrass musicians travel to the Roanoke Island Festival Park Manteo, NC for this fun-filled affair. The line-up changes each year, and the roster varies from day-to-day. In the past, the festival boasted artists such as Rhonda Vincent, the Soggy Bottom Boys, and Gene Watson! You don’t want to miss this fantastic opportunity to see some of your favorite stars perform on a stage surrounded by such breathtaking scenery. With all the dancing and singing, there’s a good chance you’ll get hungry at some point during the day. Grab a bite to eat at one of the many local restaurants that participate as vendors at the festival. Grab a yummy, seafood sandwich, some tasty, Carolina barbecue, or a steaming plate of oysters! You’ll find plenty of refreshments to quench your thirst as well. The cherry-on-top of this bluegrass sundae happens to be the main reason people visit the Outer Banks in the first place. The awe-inspiring views set the scene for a magical weekend of amusement. 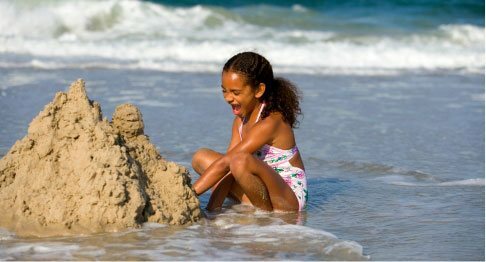 Let go and let loose beneath the rays of the Carolina sun and feel the ocean breeze blowing through your hair. The peaceful seascapes add the perfect touch to a memorable weekend. After spending all day dancing in the sun, to the amazing music at the Outer Banks Bluegrass Festival, you’ll need a relaxing getaway to return to. Why stay in a cookie-cutter hotel when you and the entire family can enjoy the comforts of a spacious, Paramount Destinations vacation home? When you choose to stay in one of our properties, you can expect excellent service, easy check-in, and luxurious amenities. 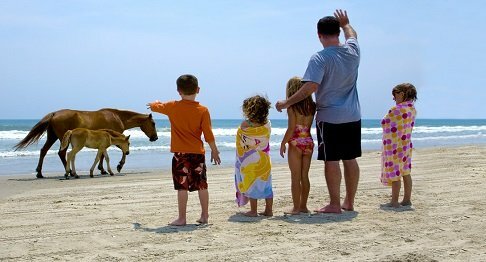 Stay in one of our Southern Shores properties to be near the Festival location. 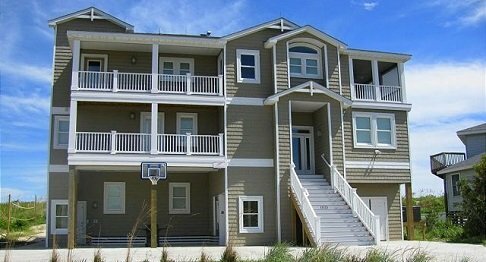 Our guests love the Silver Creek home because of the abundant natural light and easy access to the beach. There’s plenty of room for the whole family, and there’s even a private pool. 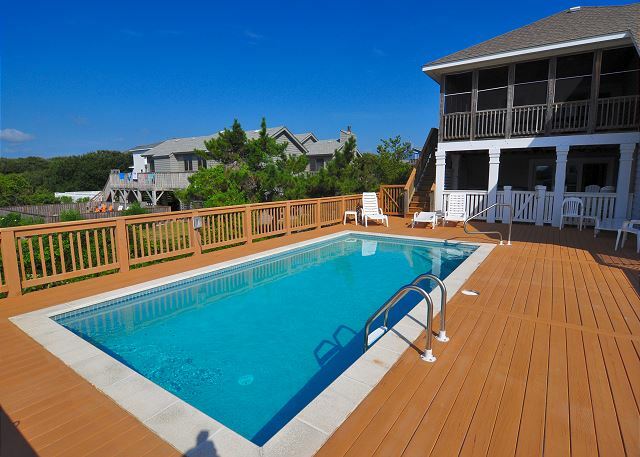 Allow us to make your Outer Banks Vacation one for the books!